Over there. Someone like you. Not just like you. Someone who is you. Successful writer Raymond Bridges must unravel a mystery that goes to the heart of his being and face apparently irresolvable doubts about his identity, set off by encountering a perfect double of himself. It's a thrilling journey that leads him to question so much of what he finds in the world around him - even the loyalty of those he knows, including his love, Victoria. What he uncovers is a conspiracy that shakes the world he knows to its foundations and asks key questions about how we live now. 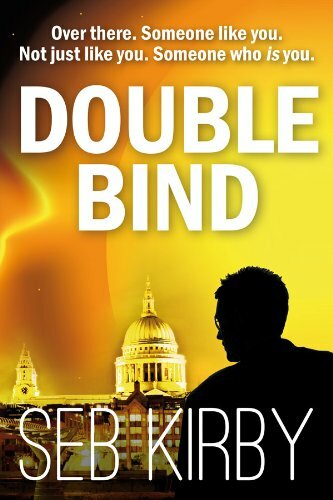 Seb Kirby is the author of the James Blake Thriller series (TAKE NO MORE, REGRET NO MORE and FORGIVE NO MORE) and the Raymond Bridges sci fi thriller series (DOUBLE BIND). His latest book is the gripping psychological thriller EACH DAY I WAKE.